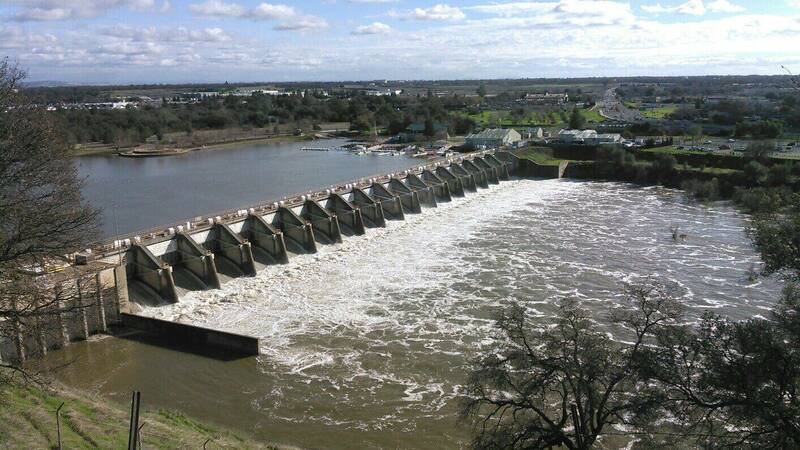 Nimbus Dam is on the American River near Folsom, California. The dam is part of the Bureau of Reclamation’s Central Valley Project which provides irrigation and municipal water to much of California’s Central Valley. The work at Nimbus Dam included placement of a caisson to allow dewatering of the gate area. Radial gate repairs consisted of abrasive blast cleaning and painting, weld repairs, seal replacement, cathodic protection replacement, and side shoe replacement. Underwater inspections, concrete repair, and raising of the pipe handrail at the dam were also included in this project.